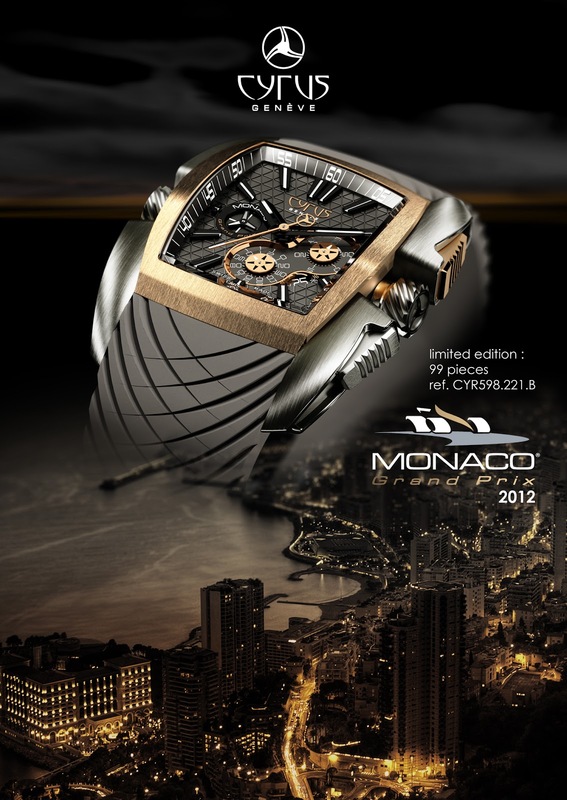 During MONACO GRAND PRIX 2012, Swiss luxury watch brand CYRUS will join the world of high speed car racing with its own FORMULA 3 car. To celebrate this occasion, the young Swiss watch brand introduces two new watch models from KUROS line inspired by the unique designs of sports car. The rubber strap will be developed with the rubber coming from the wheels that will be used during the competition. 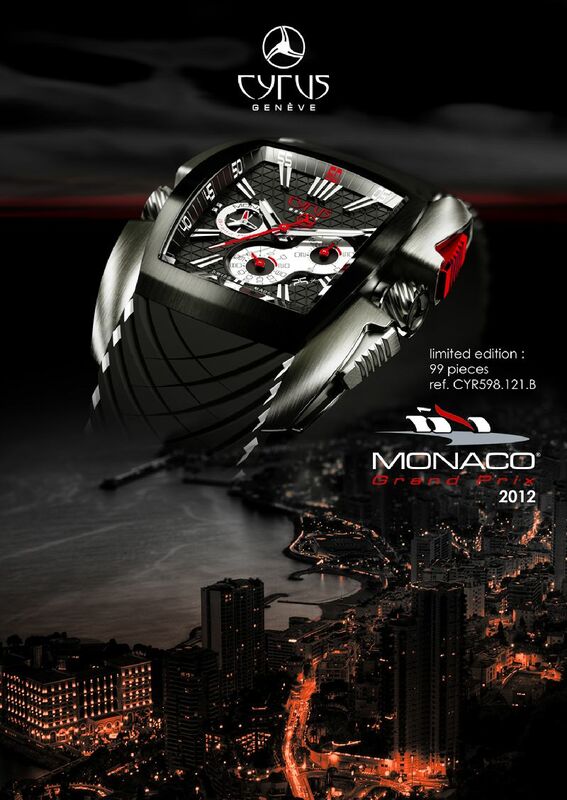 The choice of Monaco was a logical one as the co-founder and Managing Director of the brand Laurent Lecamp grew up in a small village very close to Monaco, La Turbie, from which he observed the Principality, being fascinated by the unique colors and architecture of this state between mountains and sea. These exclusive models will be produced in a limited edition of 99 pieces each. The Serial number will be revealed by pulling the crown at 9. The heart that powers this timepiece is an automatic chronograph movement that has 316 components. Case in Titanium Grade 2 with brushed-polished-sandblasted finish. Crowns in Titanium Grade 5 with polished-sandblasted finish. Start/Stop Chrono pusher in red aluminium with brushed-polished-sandblasted finish. At 3: crown in titanium– with an exterior CYRUS logo – enabling setting the hours, minutes and date. Oscillating mass: Customised oscillating mass.